Here you will get all-round solutions to touch up your videos as you wish. You will learn how to edit, split, merge, rotate, etc. videos as well as append special video effects. If you want to correct viewing issue of a sideways YouTube video, you can turn it 90 degrees and more. Follow this tutorial to rotate your video. Reducing file size can be achieved by compressing. 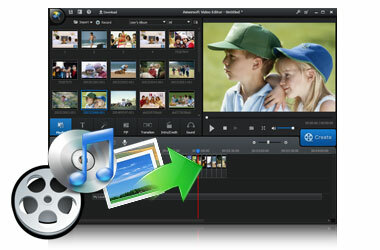 Then you can upload more videos in less time and get more space in your hard drive. How to edit AVCHD MTS videos? when you transfer camcorder MTS video to computer, you may want to edit this AVCHD MTS video, or convert MTS video to AVI, MOV, WMV, MP4 video formats. 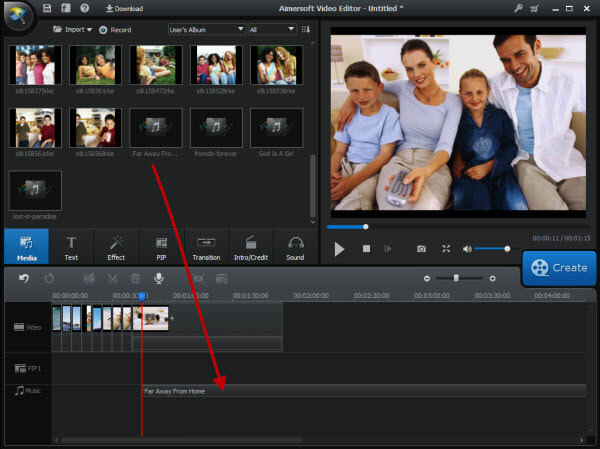 If you’re looking for handy software to slow down YouTube videos, Aimersoft Video Editor is the ideal solution. This article will tell you how to add slow motion to YouTube video with this program. If you want to know how to flip a video in an efficient way, please follow this article to learn the steps for flipping with Aimersoft Video Editor. This article is about how to extract audio from AVI easily; after reading, you can extract audio from your AVI files easily. This article will explain you how to remove sound from MP4 video so that you can keep the video only or replace the original audio with any audio you like. If you want to join AVI files into one, you’ll find it is very easy to achieve that from this step-to-step article. Are you considering splitting your AVI files? This article will tell you how to split AVI into multiple files easily without quality loss. This article is to tell you an easy way to split FLV with an effective FLV splitter - Aimersoft Video Editor. If you are looking for an effective MOV joiner, you are in the right place. This article introduces a professional MOV joiner and guides you how to join MOV step by step.